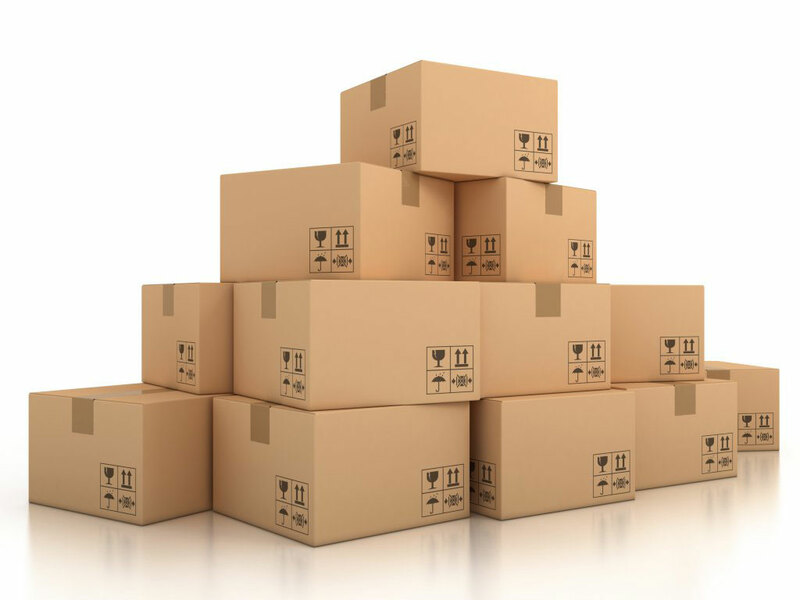 The production process has different stages of the production flow. 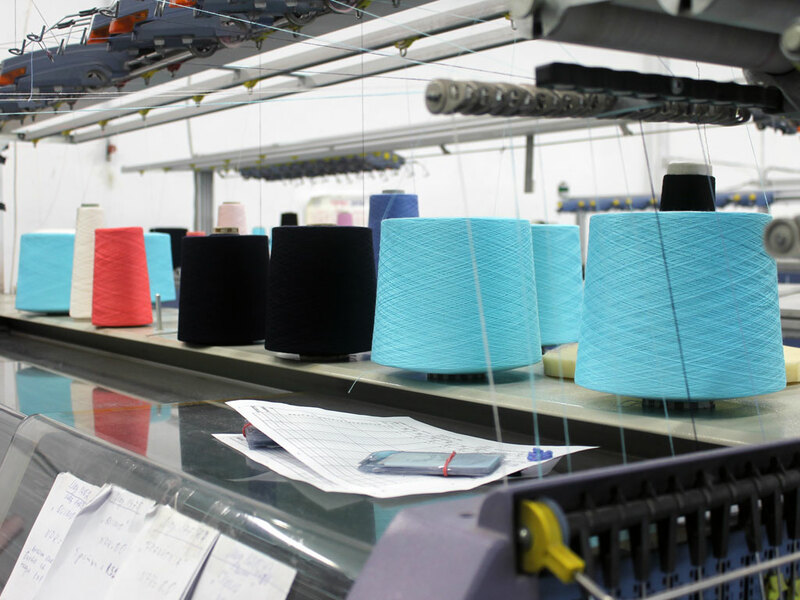 The yarns are selected in according to the requirements of the clients, how the ready garment need to look. We use work mainly with high quality materials, produced by using natural fibers like cotton, linen, fine merino wool, cashmere, silk and yarns mixed with the same natural fibers. Our yarns are supplied from the best spinning mills in Italy, Germany and France. Combinations of polyamide, viscose, linen, and etc. 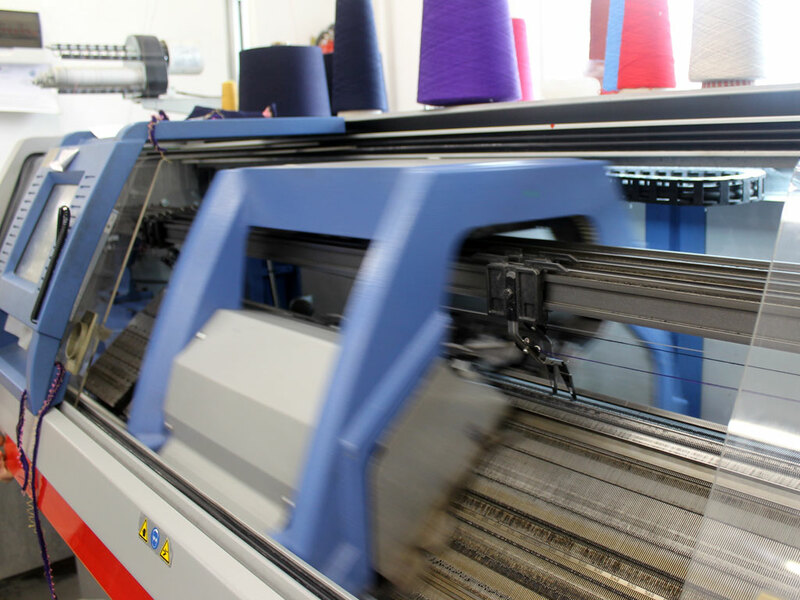 The knitting process is managed by computer system and is done on computerized flat knitting machines, supplied from the German company STOLL. After the products are knitted, all pieces go through a special process of steaming; this process helps the natural fibers relax and get fixed for the further production. 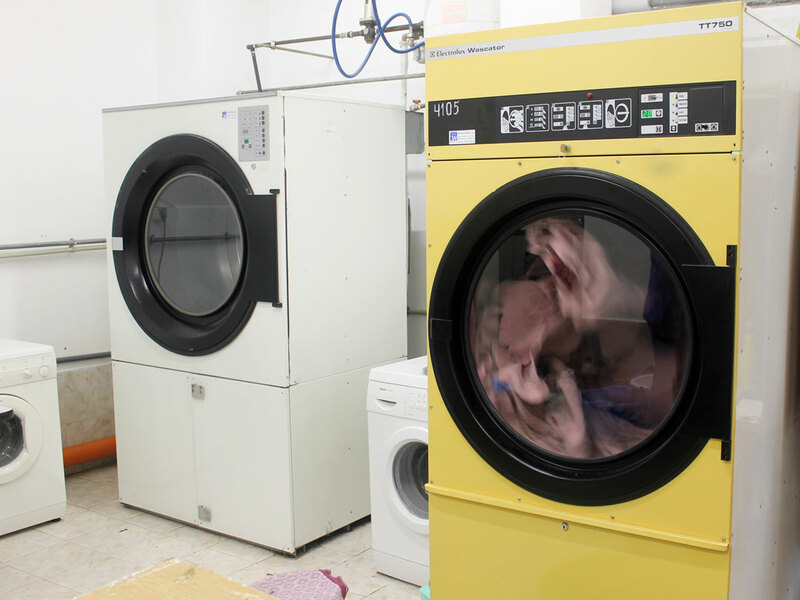 Most of the times knitted pieces go to the washing department, as far the natural yarns need to be washed and treated with softeners and enzymes. After this process the units go to the cutting. 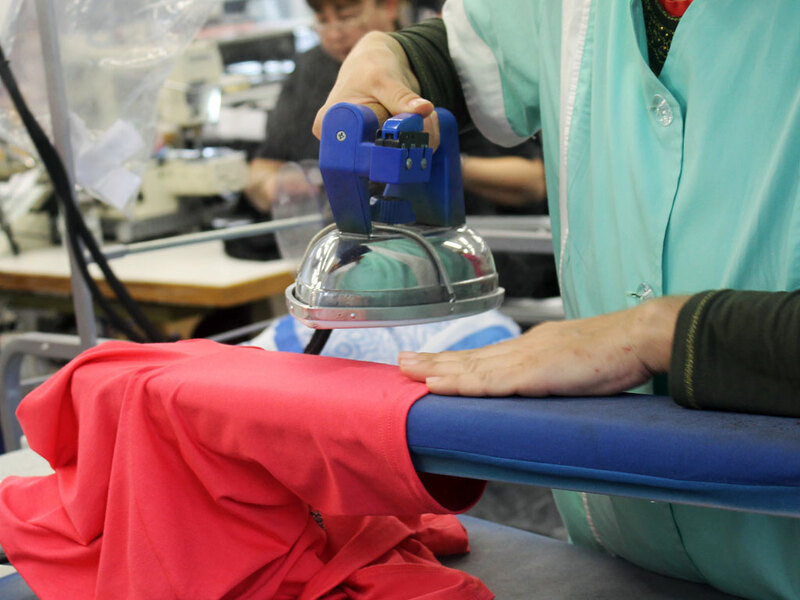 By using cutting slips, the knitted panels are checked and cut, so the ready garment can get the needed measurement. The company has installed a modern machine for production of embroideries and for sticking transfer stones. 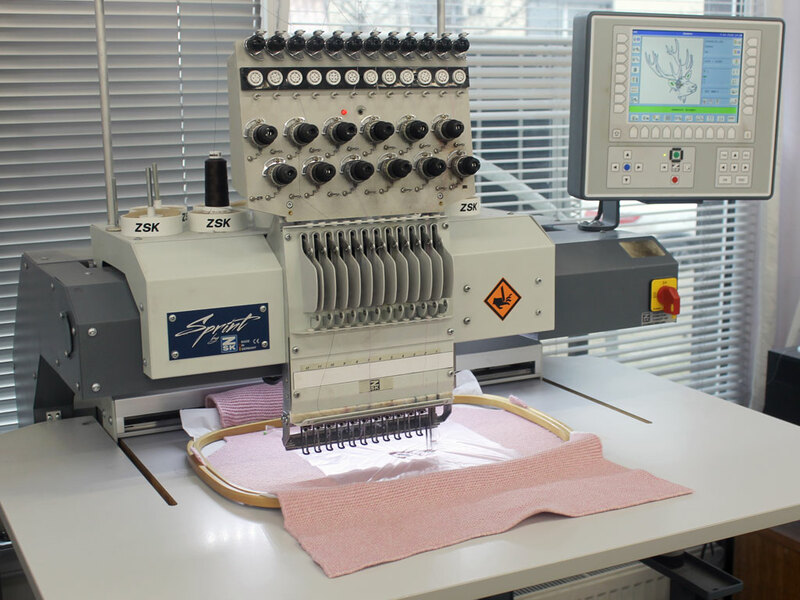 For the machine embroidery we use a special computer system to do a graphic visualization of the images that we want to embroider on textiles. The embroideries can be multicolored or with different shapes and sizes. We can produce also garments, printed with a sublimatic print. 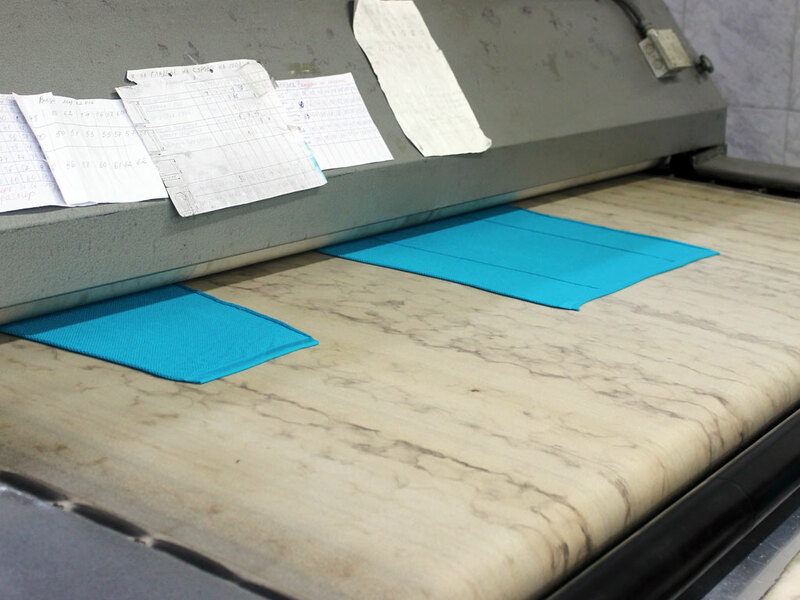 In most of the cases the sublimatic print is done on polyester fibers, but we do this process on natural fibers mixed with synthetic fibers. The knitted pieces are printed on a special pressing machine by using a sublimatic paper under 200ºC and takes 30 seconds of time. The printed panels have a photographic quality and bright colors. 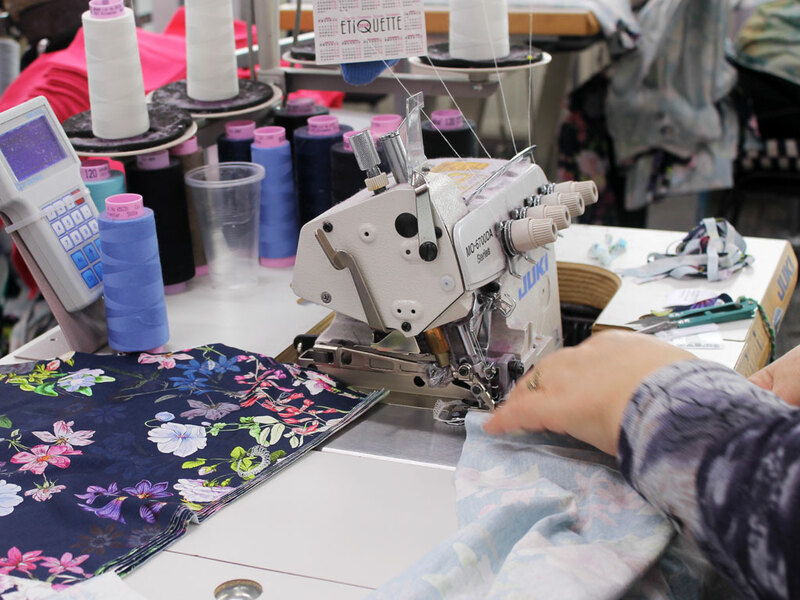 The sewing process is done on special machines used only in the knitwear production as well on machines standardized for the normal sewing productions. For the ironing process we use steaming machines. 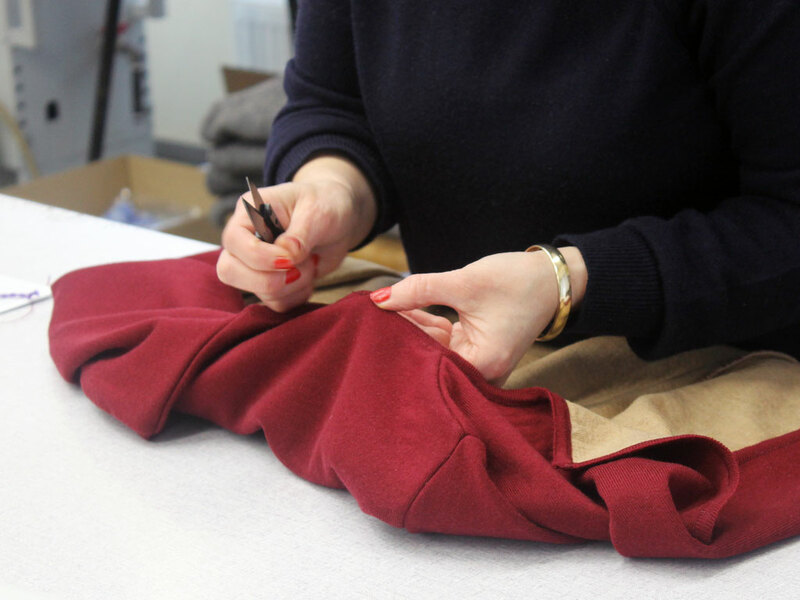 The quality control process is done by detailed manual check of each garment. The final goal is to find defects if any and to avoid defects in the production line. 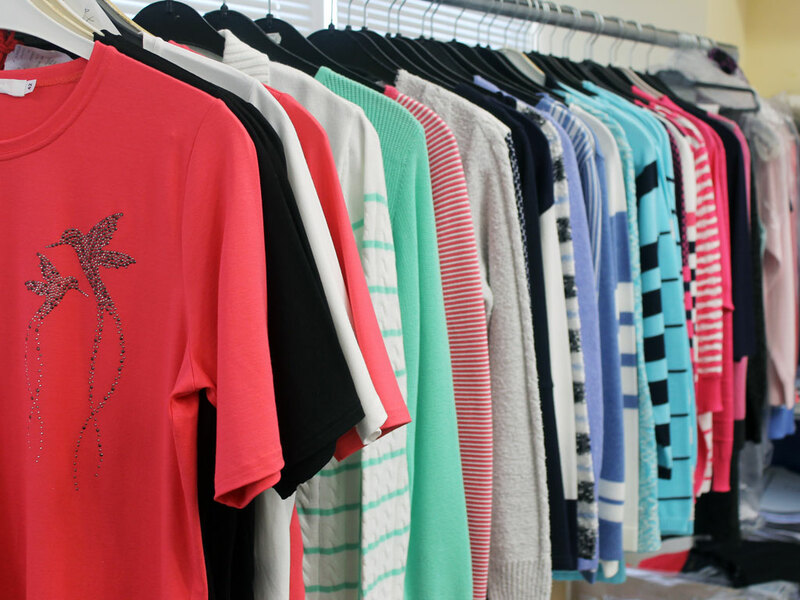 All garments are equipped with the necessary hang tags, brand labels and other advertising materials.